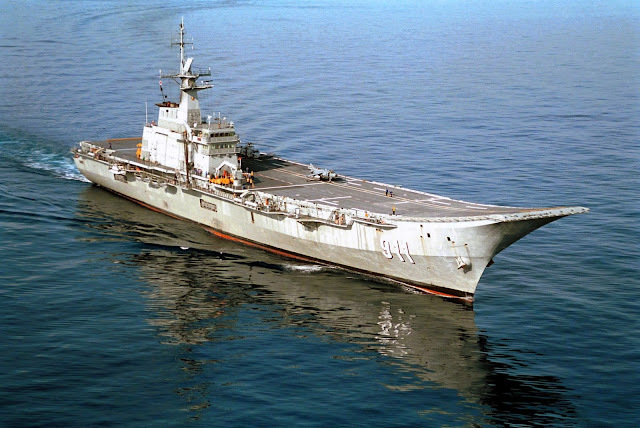 In July 1992, the Thai government commissioned the Spanish shipbuilder Empresa Nacional Bazan ( now Navantia ) to construct the helicopter carrier HTMS Chakri Naruebet. Its design was based on the Spanish Navy's light aircraft carrier the Principe de Asturias which came with a 12 degree ski-jump and it was supposed to operate a fleet of ex-Spanish 8 AV-8S Matador V/STOL and S-70 Seahawk helicopters. 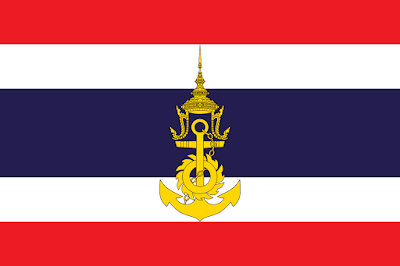 Its originally envisaged roles as the flagship of the Royal Thai Navy (RTN) included patrols and force projection around the territorial waters and the exclusive economic zones of Thailand, supporting amphibious operations, disaster relief and humanitarian missions etc. The cost of its construction was reported as USD 336 million then, and would be equivalent to approximately $580 million in today's currency. Unfortunately for the RTN, the Asian Economic Crisis of 1997 struck just as the Chakri Naruebet was commissioned. The Thais were left without any funds to operate the helicopter carrier or maintain its air wing of Matadors. For most of the time the ship never left its home port of Sattahip Naval Base. Occasionally it was used as a ferry to transport the Royal Family. By 1999, there was only one Matador still operational, and they were eventually written off all together by 2006, leaving the helicopter carrier without any operational fixed-wing assets. The prestige of being the first Southeast Asian country to own an aircraft carrier brought with it a heavy financial burden that the Thais could ill afford then and now. There was no real need to have an aircraft carrier in the first place when a Land Ship Dock (LSD) type of vessel could serve a similar purpose of supporting amphibious ops and Humanitarian and Disaster Relief (HADR) ops. In fact the RTN subsequently bought exactly such a vessel from ST Marine of Singapore, the Endurance-class LSD. The story of the Chakri Naruebet is cautionary tale of what not to do in the procurement of military hardware and to this day it has been a white elephant and has been nicknamed the Thaitanic, presumably because of its physical size and its huge price tag. The Type-039A Yuan-class SSK of the People's Liberation Army Navy. At US$335 million each, a deal too good to miss? Fast forward to 2015, in the past few days the internet has been abuzz with news that Thailand has more or less committed itself to buying three Chinese conventional diesel-electric submarines for USD 1.1 billion. Is this really such a good deal that Thailand cannot refuse or is it another mega-mistake in the making? Do The Thais Need Submarines? The naval brass would certainly like to convince anyone that they do need submarines. They NEEDED them and they needed them bad. So bad in fact, that in July 2014 they had setup their submarine squadron complete with submarine training school at Sattahip Naval Base without yet having acquired any submersible assets. The squadron is staffed by naval personnel who have previously been sent to Germany and South Korea for submarine training and has a Rheinmetall submarine command team trainer simulator. IHS Jane's reported that the facilities cost USD 23 million to set up. To be fair to the Thais ( and to anyone else as well ), modern naval warfare is multi-dimensional and the undersea component forms an increasing important aspect which cannot be neglected or ignored. That alone is good enough reason for the RTN to aspire to own submarines. Also, of the five original core members of ASEAN ( Association of Southeast Asian Nations ), Indonesia, Malaysia and Singapore, yes, even tiny Singapore, have already been operating submarines for decades. Only Thailand and the Philippines have yet to catch up. On top of that Thailand also has an extremely long coastline to govern, from the western side facing the Andaman Sea to the eastern side around the Gulf of Thailand next to the resource rich but volatile South China Sea. Of course we also know that the best platform to hunt a submarine is another submarine. So if I were a Thai naval brass I would definitely want to have subs. The short answer is YES. Whether the budget allows for it is another matter. Can the Thais Afford Submarines? This could be a much harder question to answer. They probably could if they budgeted their defense spending wisely. The military-run government had proposed a 2016 defence budget of USD 6.1 billion, equivalent to about 1.5% of GDP and constituting about 8% of all government spending. This represented an increase of 7% over the 2015 defence spending. After much deliberation, the Thais had decided on the Chinese offer of three diesel-electric attack submarines for a grand total of USD 1.1 billion. This would constitute about a sixth of their annual defence spending, a significant portion by anyone's standards. They would have to seriously tighten their belts in other areas to afford this. But I wouldn't be surprised if the Chinese had also offered to finance the deal like what they usually do when trying to sell their high speed rail systems overseas. It would definitely be more palatable if the payment is spread in installments over a period of 7 to 10 years. In retrospect, had the Thais not embarked on their disastrous Rice Subsidy Scheme from 2011 to 2014 which cost the Thai government an estimated USD 15.3 billion buying rice from farmers at above market rates, the RTN could have bought about 45 Chinese subs ( at $335 million each ) with that money. Well maybe they don't ever required that many submarines, but how about 6 subs and a squadron of 12 Lockheed Martin F-35B V/STOL stealth fighters ( $200 million each ) for the Thaitanic, and best of all still have about $10 billion to spare ( minus a few dollars to thermal proof the deck, if necessary )? Mind boggling figures, I would say! Thailand has about 3200km of coast line split between the eastern seaboard of the Gulf of Thailand and the western seaboard facing the Andaman Sea. The two coasts are not directly connected as the Malayan Peninsula sits right at the southern end of the narrow Kra Isthmus and blocks direct maritime access between Thailand's two coastal regions. Unless a canal is dug linking the Andaman Sea to the Gulf of Thailand, to sail from Thailand's east coast to the west coast would require going around the Malayan Peninsula and Singapore, a round trip of some 1200 nautical miles that could take 3 or 4 days at an average transit speed of 12 knots. If Thailand acquires three submarines, they will likely all be based at Sattahip Naval Base, the RTN's headquarters as well as the submarine squadron's HQ. 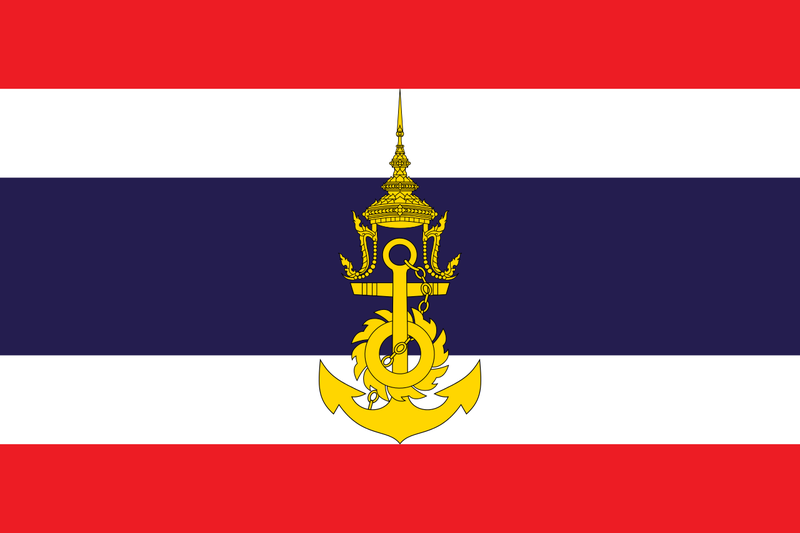 Assuming the usual availability rates of one boat on station, one in preparedness and one on maintenance, the RTN will at anytime only have one submarine on patrol and it has to be either in the Gulf of Thailand or in the Andaman Sea. This submarine cannot be at two different places at the same time. Should a crisis situation develop at the other Area of Operations it would be at least three to four days of sailing away. Clearly not desirable. So ideally from the operational point of view the RTN should have six boats, three for the Gulf and three for Andaman. It is much cheaper this way compared to digging the fabled Kra Canal, with an estimated cost of USD 28 billion, the pipe dream of one too many Thai politician. In June 2010, due to budgetary constrains, the German Navy unexpectedly decommissioned the last six of its Cold War era Type 206A diesel-electric submarines originally slated for retirement between 2011 and 2015. The following year, two of the submarines were then offered to the Thai Navy at a bargain price of USD 220 million. The Thais agreed in principle to buy the submarines but the subsequent political turmoil resulting from change of government meant that they ultimately let the offer lapse. The Type 206As were rather small, displacing about 500 tonnes submerged, but modernised machines with littoral and special forces capabilities, two key features which made them ideal for the shallow waters around Thailand. Revell Type-206A Box Art. A total of 18 Type-206 SSK were built in the early seventies for the West German Navy. 12 were subsequently modernized in the nineties and re-designated the Type-206A. All have since been retired from service by the Bundesmarine. Cost : $14.76 for the Revell plastic model kit and $220 million for a pair of the real deal. Buying a pair of the used Type-206A would actually serve the RTN very well as they are compact and are not too complicated, the ideal training platform for a fledgling submarine squadron to quickly accumulate operational experience. They are also much more budget friendly compared to the other options available to the RTN. After this stint the RTN may eventually consider upgrading to bigger and more modern submarines, perhaps even new-builds. Sadly this option is no longer available. Then there was the Korean offer of two Type 209-1200 SSKs for about USD 1.3 billion. As we know, South Korea has an advanced, world-leading ship building industry and they have capitalized on that advantage to licence build the Type-209 SSK from HDW ( now ThyssenKrupp Marine Systems ) not just for their own navy but also for export. In fact they were awarded a contract to construct three Type-209-1400 SSKs for the Indonesian Navy in 2011 for USD 1.07 billion. The Korean Type-209s are also known as the Chang Bogo-class. They are modernized versions of the original Type-209-1100 boats and have stretched hulls and indigenously developed torpedo countermeasure systems and may even accommodate an Air Independent Propulsion system in the 1500 tonne version. They are light-years more advanced than the second-hand Type-206As but also cost a lot more, so much more that the Thais decided that they could not afford them. They also reportedly turned down South Korea's offer of two of their 20 year old Type-209s for 15 billion Baht or about USD 500 million. Old hulls like these need modenisation works ( obviously not for free ) and would probably last for another decade at most after which they would have to be retired and fresh funds would be needed for new boats. The Thais then knocked on the doors of the Swedes, eyeing the Gotland class SSK, but the Swedish Navy do not have anymore surplus boats to sell, after divesting two of their four Type-A17 Vastergotland-class to Singapore, they were left with 2 upgraded A17s and 3 Type-A19 Gotland-class SSK, barely enough to cover their backyard. 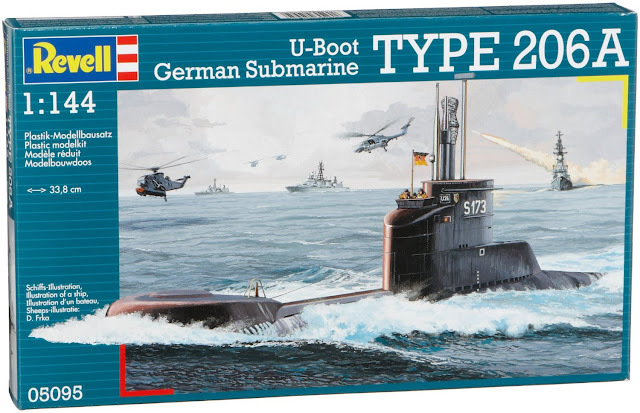 Their new A26s were delayed by the tactics of ThyssenKrupp who at that time were at the helm of the national boat yard Kockums AB, further dashing any hopes of a Swede deal. Thailand has been a fan of Chinese weaponry for quite sometime. The Royal Thai Army deploys Chinese armoured personnel carriers, multiple launch rocket systems, combat engineer vehicles, rocket propelled grenades and various types machine guns and assault rifles. The RTN similarly has in its inventory four Chinese Type-053 Jianghu III guided missile frigate ( the Chao Praya-class ), two modified Type-053 ( the Naresuan-class ), various Off-shore Patrol Vessels and an auxillary ship. So they are no stranger to Chinese technology and their idiosyncrasies. 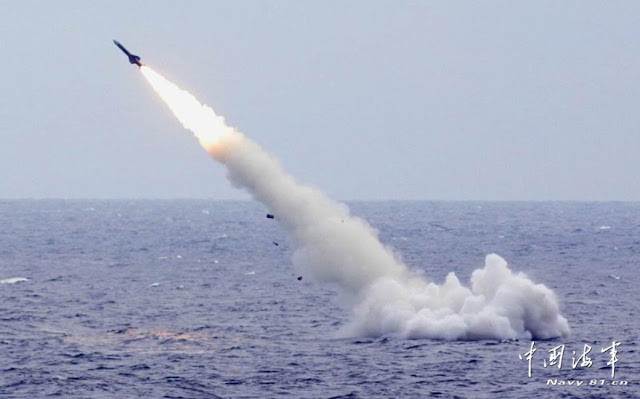 The Chinese had actually offered the Thais their Type-039 Song-class SSK as far back as 2007 but the Thais favoured the German offer of the Type-206As then, only to renege on their decision later. The original Type-039 Song-class SSK with its distinctive stepped conning tower. This or perhaps its improved version, the Type-039G was offered to the Thais in 2007. With all the failed attempts to acquire submarines in the past, the Thai Navy has in 2015 redoubled their efforts with a new round of proposals from vendors. And it seems that the Chinese have hyped up their submarine offer, throwing in three of their newest Type-039A Yuan-class diesel-electric SSKs, probably with air-independent propulsion ( AIP ) for $1.1 billion in total. The price is said to be inclusive of a eight year weaponry and parts support package, and training. They even try to seduce the Thais with the promise of significant technology transfer. Navy chief Adm Kraisorn Chansuvanich said that a 17 man naval committee comprising of unbiased, smart and modern officers tasked to select the submarine evaluated offers from six nations including those from Russia ( Project 636 Kilo-class ), Germany ( ThyssenKrupp Marine Systems, Type 209-1400 Mod and Type-210 Mod ) , Sweden ( SAAB, A-26 ), China ( Type-039A ), Korea ( Hyundai, HDS-500RTN ) and France. They voted 14-3 in favour of the Chinese package because it was value for money, getting them three submarines where as the same budget will only get them two units from the other suppliers, without the weapons. 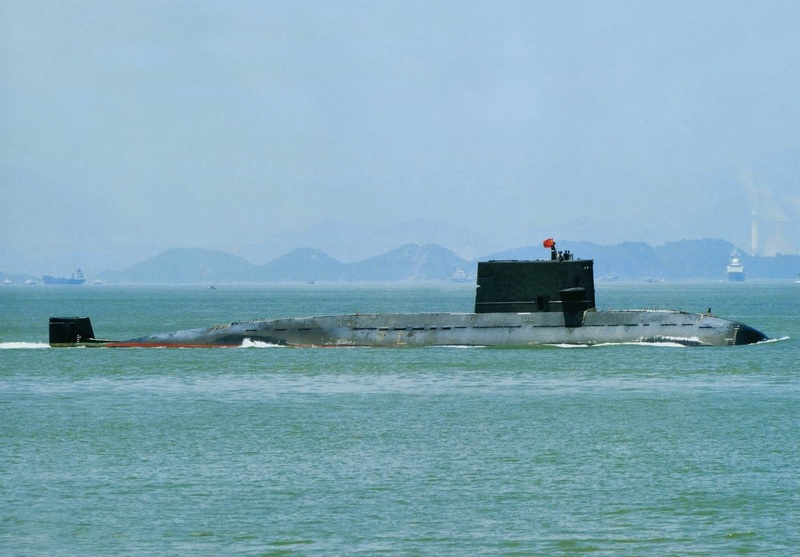 It was also mentioned that the Chinese submarines were equipped with superior weaponry and technology, and that they were able to stay underwater longer compared to their rival bids. This I interpret as a hint that the Chinese offer will be fitted with AIP systems. Deputy Prime Minister and Defence Minister Prawit Wonsuwon has firmly extended his support for the project on the back of real or perceived territorial treats saying that the submarine force is a deterrence and the future of Thailand's security. He would forward the procurement decision to the Cabinet for approval once the opportunity arises. With a junta government in power and a large part of the Cabinet members being made up of generals and admirals, we know that this approval procedure rubbish is just a formality. The submarine purchase is as good as a done deal. Had a democratically elected government been in power, the outcome might be entirely different as there are always some who question the justification for a submarine force in the light of the white elephant Thaitanic. In fact, General Prawit has been quoted to say that if the submarines were not bought by the current government, the navy might not get the chance to acquire them again. He knows, that sly fox! The entire deal is worth THB 36 billion ( USD 1.1 billion ) and the procurement will proceed through a government to government agreement. It would require an unspecified amount of funding from Thailand's defense budget in the next 7 to 10 years. Once the Cabinet approves the budget, the submarines are expected to be commissioned over the next 6 to 7 years. So it's back to the simulator and Chinese language class till then. The Type-039A is the successor of original Type-039 Song-class diesel-electric submarine. It evolved from the Type-039 but has little resemblance to it and is frequently referred to as the Type-041 SSK. 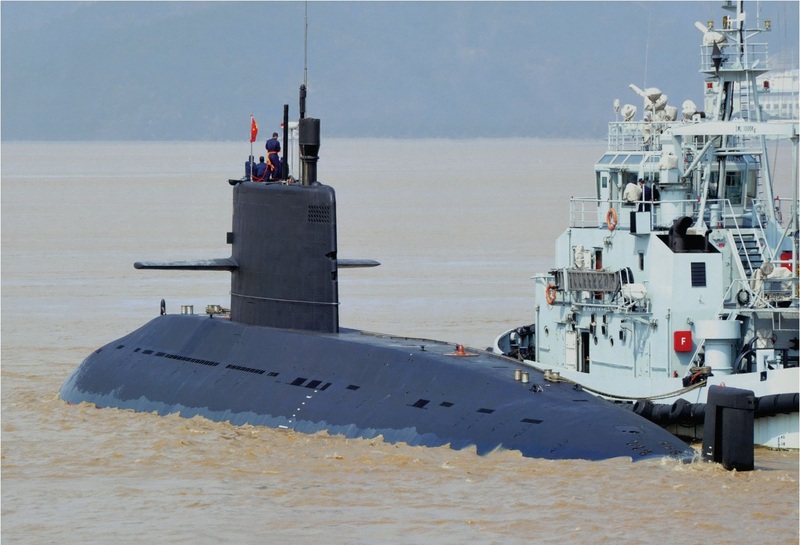 It is the first Chinese submarine with AIP and is supposed to be quiet and have advanced features like anechoic tiles. It has a teardrop shaped hull and a large sail suggesting of a design stemming from Russia's Kilo-class SSK which China also owns. The original People's Liberation Army Navy ( PLAN ) version has a length of 75m, a beam of 8m and a draft of 8.2m. Its displacement is 2300 tonnes surfaced and 3600 tonnes submerged. 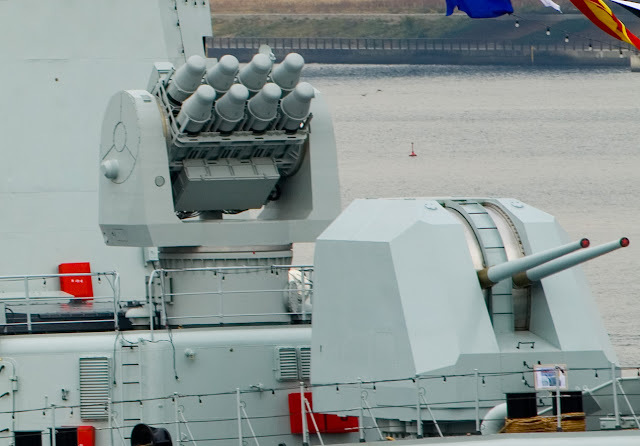 Its armaments include 6 x 533mm torpedo tubes which can fire Russian or Chinese torpedoes as well as the YJ-8X series of submarine launched anti-ship missiles. The endurance is said to be 6500 nautical miles at 12 knots. Maximum speed is 12 knots surfaced and 20 knots submerged. Maximum diving depth is in the region of 300 metres. There is also an export version designated the S-20 first revealed at IDEX 2013 in Abu Dhabi, United Arab Emirates. The S-20 appears to be a scaled down version of the Type-039A displacing 1850 tonnes surfaced and 2300 tonnes submerged. It comes without an AIP system but can be an option should the client choose. And now it seems we have the S-26T version with AIP which was offered to Thailand. The PLAN Type-039A diesel-electric SSK with AIP. Still in brown waters? The Type-039As have been in service with the PLAN since the year 2006. 13 boats are currently in active service with a total of 20 planned. 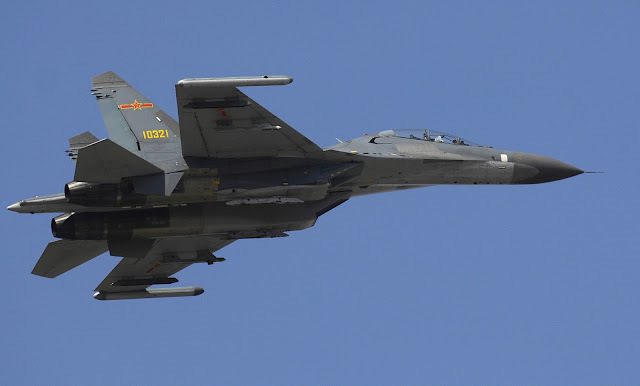 As with most Chinese military hardware, very little information about the Type-39A is publicly available even though it has been around for close to a decade. Confusion with nomenclature is the norm, and even the reliability of existing information is sometimes uncertain. Waterline view of the Type-039A. Booster stage of the YJ-82 submarine launched anti-ship missile as it pops out of the water immediately after launch. 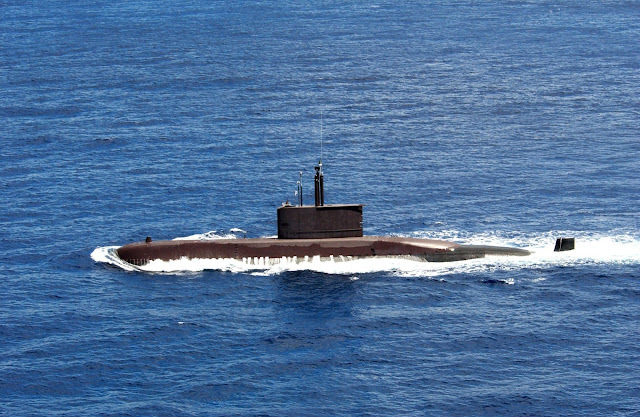 Apart from Thailand, the Bangladeshi Navy is in negotiations for acquiring two Type-039As and the Pakistani government had in April this year approved the purchase of 8 Type-039A submarines from China, representing a huge export success. 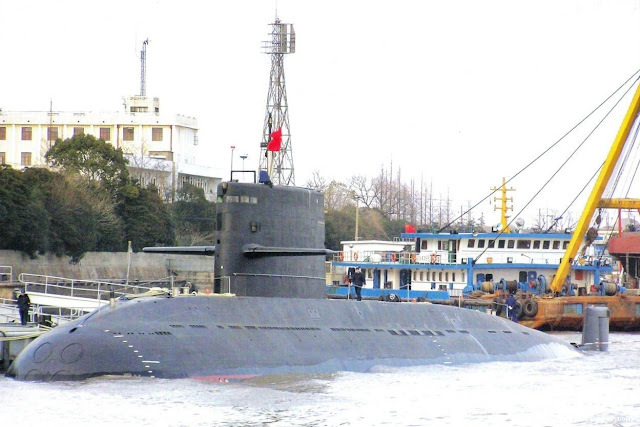 China has not been a significant submarine exporter in the past, selling a few units now and then mainly to close communists allies and pariah states that could not have obtained weapons from the international market otherwise, like North Korea. It had began with the assembly of the Whisky-class conventionally powered submarine with kits provided by the Soviets in the fifties. Starting from the late sixties, China progressed to licence build the next generation Romeo-class SSK, known locally as the Type-033. They then started producing the indigenously designed Type-035 Ming-class SSK in the seventies, though it is somewhat similar to the Romeo-class. Following their purchase of Russia's Kilo-class and improved Kilo-class SSK, the next generation Chinese SSKs, the Type-039 and Type-039A again have uncanny similarities with the Kilo. One cannot help but suspect that out of sight of the international rivals and clients there must be a lot of reverse engineering going on inside the state owned Chinese yards. And that's nothing new. The Chinese have a " indigenously designed " copy of almost everything they had previously owned, and even of things that they didn't own. Would you trust a pirate? If you have worked or dealt with the Chinese before, you would have quickly noticed that the average Chinese worker cares little about workmanship and product quality. They are more concerned about meeting deadlines and getting their job done in as little time as possible, never mind if they are churning out rubbish in the process. Their idea about quality control is - as long as it works, it's good enough! They don't give a damn if it breaks down three days later. So if the guy making your shoe bag has this kind of attitude, do you think the worker at the state owned shipyards would fare any better??? Well maybe a little better, because a $5 shoe bag is not in the same league as a $335 million submarine, but you trust the communists? The Thais should have known better as they found out the hard way with their China build Chao Praya-class frigates in the early nineties. 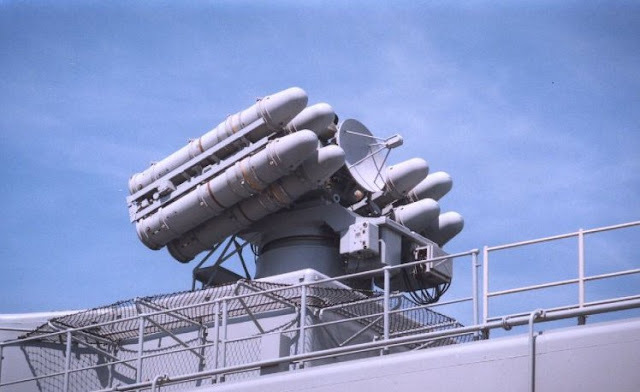 These are actually the Chinese Type-053 Jiangkai III FFGs build to the then latest Type-053H2 standard. Although they cost only a quarter of what a frigate would normally cost if purchased from European or American suppliers, they came with multiple defects and deficiencies including exposed wirings that needed to be rewired, limited damage control capabilities with defects in the fire suppression system and problems with the water-tight locks. Considerable efforts was spent to rectify the defects. Smart Choice Or Another Disaster In The Making? The Chinese have alienated many of they traditional friends and trading partners in Southeast Asia by their increasingly aggressive pursuit of their territorial claims in the South China Sea, even to the extend of land reclamation and building airstrips at Fiery Cross Reef. They are desperate to improve ties with Thailand, one of the rare countries in Southeast Asia not directly involved in the territorial disputes with China. This they have certainly achieved by clinching the submarine deal. 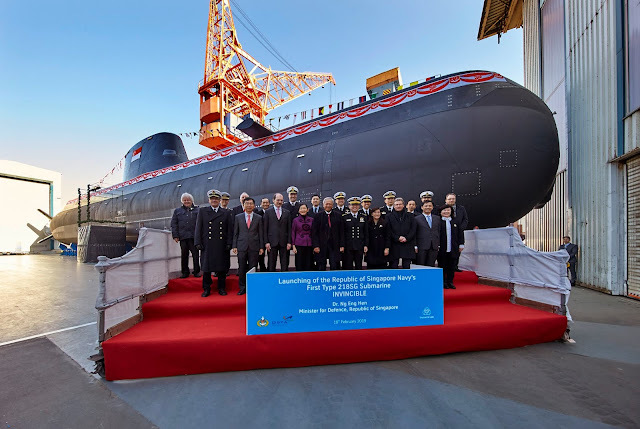 Keeping in mind the potential problems with quality issues for Chinese products, would the Thais have done better by selecting submarines from other countries? After all, if you pay peanuts, you get monkeys! SAAB's A-26 submarines look particularly attractive at the SEK 8.2 billion ( USD 948 million ) price the Swedish government paid for two boats. These are the latest state-of-the-art Swedish submarines with AIP and European quality assurance. Thailand already has a good defense relation with the SAAB Group with their previous purchase of the JAS-39 Gripen fighter and the SAAB 340 AEW aircraft. Why not capitalize on this? 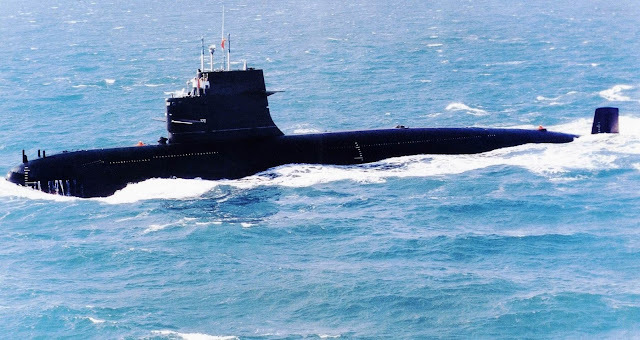 Hind sight is always 20/20 but I can't help but point out that had the Thai Navy bought a squadron of submarines instead of an aircraft carrier in 1992, they would by now have almost 2 decades of experience operating submarines. They really cannot afford to make another mistake like the Chakri Naruebet, because at $1.1 billion, the stakes are much higher this time. It seemed that on the very day that this article was published ( 15th Jul 2015 ), the Thai Government had already changed their minds about the purchase of the S-26T submarines from China. The postponement was announced following high levels of criticism questioning the rationale behind the acquisition and the quality of the submarines the government intended to procure. Defence Minister Prawit said that when the Thai Cabinet next convene to assess the procurement, he would not yet seek endorsement for the acquisition. A stronger mandate was necessary. " For now the navy must inform itself and educate itself on whether the submarines are worth it and how much they will add to the Thai navy. " IHS Jane's Defence Weekly ( Vol 52 Issue 29 22 Jul 2015 Pg 7 ) carried this comment to its main headlines article Thailand Halts Purchase of Chinese Subs : " Critics of the plan, however, have questioned the need for the submarines given Thailand's lack of strategic assets in the disputed regions of the South China Sea; doubted the RTN's ability to operate the submarines effectively in the shallower waters of the Gulf of Thailand; and highlighted Thailand's poorly performing economy. Questions have also been raised about the quality of the Chinese submarines, which have yet to conclude any exports. ", exactly the issues discussed in this blog. This about turn barely two weeks after the initial announcement does not reflect well on the professionalism of Thai Defence Ministry and the RTN's top leadership. Shouldn't they have done all the necessary leg work to sound out the public opinion, secure the necessary funding and convince the skeptics that the project is doable before announcing it to the whole world? Nonetheless, loss of face aside, this could be a blessing in disguise as Thailand now has a chance to re-evaluate her requirements for a submarine squadron and re-think about buying from China, before the next round of acquisition talks begins sometime in the future. Maybe the RTN is still unsure of what it wants, being so easily swayed by public opinion to abandon the submarine project, maybe it is just bad timing, or perhaps the Ghosts of Failed Projects Past have simply come back to haunt them ... like they say, you can't always run from your past. Hello, I am writing from the communications agency on behalf of the Republic of Singapore Navy and would like to be in touch with you. We enjoyed reading your indepth article and would like to further this conversation. You may contact me at clarice.luo@sprg.com.sg and I look forward to hearing from you soon! Very interesting article! I stumbled upon this article by chance but found it very thorough and worthwhile. I'd like to share and translate some of your analysis on my blog at https://kapitaennem0.wordpress.com if you don't mind. Hi kapitaennem0, thanks for visiting and your kind comments. You may share and translate the article as long as you credit it to this blog. Thank you. Of course all sources will be credited. By the way, are you from Singapore? I tend to have a slight bias towards Singapore, let's just keep it as that for the time being! I think for the Royal Thai Navy, the Type-035 Ming-class SSK would have been a better option because it would give them something to start on and build some creditable experience before getting better submarines like the Kilo class SSK. Yes, deal is on again. There is no such thing as a free lunch. Buy two and get one free is a common sales gimmick, just like free delivery for your online purchase. The cost of delivery had already been included in the sales price. Seller always wins.